What is the value of public programming and educational projects related to African American literature? Well, it’s a question we’ll likely want to start responding to more deliberately in the Age of Trump, as funding possibilities for the humanities are under threat. Over the last 30 years, scholars of African American literature have done a good job of highlighting the importance of individual black writers. There are literally thousands of articles accurately extolling the significance of literary art by Langston Hughes, Zora Neale Hurston, Richard Wright, Toni Morrison, and other writers. Also, award agencies have increasingly bestowed honors on individual black writers, especially novelists and poets. But what about public programming and even courses on African American literature? You'll struggle to get your hands on a sustained body of scholarship that provides detailed analyses or even general results on how distinct populations benefited from programming and educational activities featuring African American literary art. 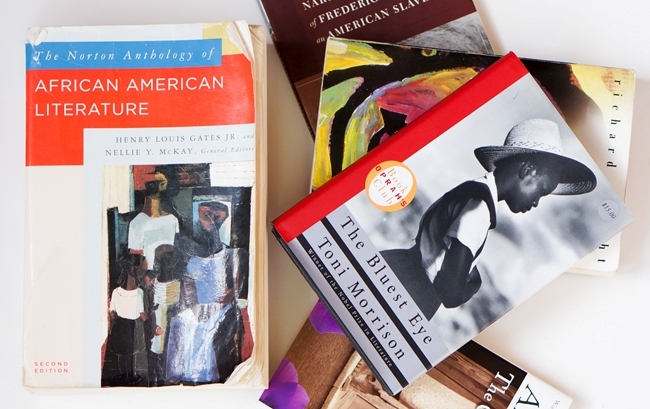 A large number of us teach African American literature courses. Relatively few of us, though, have produced or been encouraged to produce book-length studies and articles discussing what the writers and literary art means in the lives of the many students we've encountered in classrooms. In passing conversation, we mention books and authors our students enjoy. That's about it. Yet, how might we measure their enjoyment and struggles with the literature? Why do we write so little about student readers of black writing? And what about general audience encounters with black artistic works? Poetry readings are perhaps the most common, out-of-class events that showcase African American literary art. Some years ago, Nikki Giovanni joked that poets respond to nearly any and all situations with a poetry reading. She could be on her death bed, gasping her last breaths, and poets would respond, she said, by saying "Hey, let's help her out by giving a reading." All jokes aside, there are no shortages of poetry readings. There is, however, a shortage of information on the intellectual benefits and challenges of poetry readings for attendees, especially non-poet attendees. So far, the coverage of impending arts and humanities budget cuts have not concentrated on African American literary studies and programming. The fields of African American literature, history, and culture have received considerable funding support from major agencies over the years, but such fields nonetheless make up a relatively small share of fields and institutions that receive funding. We are more likely to read news articles about how budget cuts affect opera houses, symphonies, theaters, and museums. Nonetheless, the challenge and opportunity to expound on the intrinsic and extrinsic benefits of audiences reading or experiencing African American literary art is before us.